Corruption is a pernicious societal disease that has devastating consequences that can cripple a nation. Although corruption has become a global challenge, its scale and prevalence in any country depend on how it is being addressed. There are countries that are perceived to be less corrupt as graded by Transparency International’s annual Corruption Perception Index, such as Finland, Denmark and New Zealand, and there are others that were once corrupt, such as Hong Kong and Singapore, that have now become the epitome of the fight against corruption. In this seminar, Sam Koim will draw from the literature on experiences of other anti-corruption agencies, his own experience as the former head of Papua New Guinea’s anti-corruption Investigation Task-Force Sweep, and discuss how addressing police corruption is the lynchpin to combating corruption. The presentation is part of a research paper he is working on about addressing corruption in resource rich developing countries with communal social contexts. He has designed a four-pronged approach to curb corruption effectively, focusing on PNG as a case study. 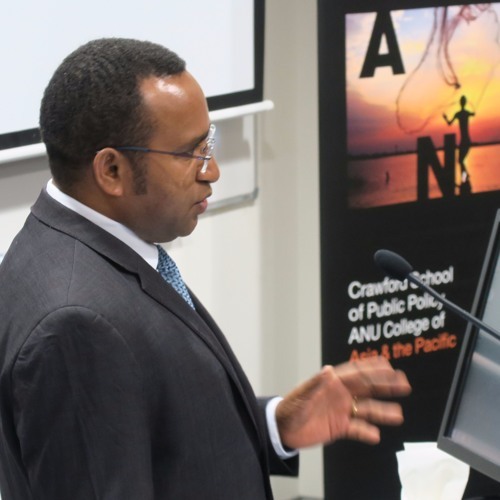 This seminar is co-hosted by the ANU Development Policy Centre, the School of Regulation and Global Governance (RegNet) and the State, Society and Governance in Melanesia program. Sam Koim has been one of the most significant legal investigators and policymakers in PNG in recent years. From 2011 to April 2017 he was Chairman and Principal Legal Officer of Investigation Task-Force Sweep, a national multiagency team investigating corruption, prosecuting offenders, recovering tax and proceeds of crime, and recommending administrative disciplinary actions. Prior to his appointment to the taskforce, he was Principal Legal Officer in the Department of Justice and Attorney General, Papua New Guinea.